We welcome you all back for the final three rounds of the ordinary season with many of our 26 Saturday teams vying for a finals berth. Click for the season draw again and the current competition ladders. During the summer season a BNA offers the talent identified program (TIP) for selected individuals of representative quality. Trials are on Sunday 24 August. 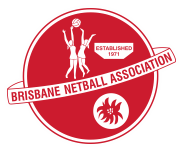 For those who have not participated in representative netball or TIP and would like more information we invite you to come along to an information session with BNA’s head of program, Alecia Connor, on Thursday 31 July 6-8pm at Bradbury Park. 6-7pm – Parents and players required for information session regarding the program. 7-8pm – Players have a practical session to understand skill sets required to successfully trial. BNA are also offering an opportunity for aspiring TIPppers to attend a three week development course run by four of their state age coaches. The cost is $30 and conducted on Thursday nights commencing 7th August.